WASHINGTON HEIGHTS (WABC) -- In honor of Veteran's Day, a special exhibit opened Wednesday night, commemorating the contributions of Dominican-American vets. 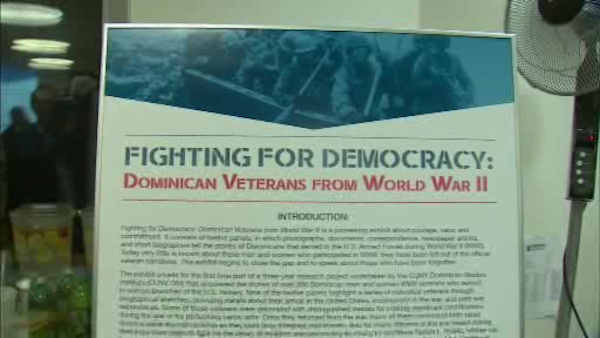 The "Fighting for Democracy: Dominican Veterans from World War II" exhibit is on display at the CUNY Dominican Studies Institute in Washington Heights. The exhibit examines the experience of Dominican veterans in World War II, from their arrival in the United States to their incorporation into the war and their post-war lives. It will be open until March 31st at the Institute on Convent Avenue.